With the holiday season fast approaching, Community Foundation of the Lowcountry has launched the Season of Giving holiday resource on its Volunteers Connection website. Season of Giving is a listing of holiday needs, drives and volunteer activities in the Lowcountry. Whether you want to sponsor a family for the holidays, donate a toy or help serve a meal, you’ll find the opportunities listed on Season of Giving. For more information, go to www.cflowcountry.org/seasonofgiving. The Town of Hilton Head Island is selling 2019-20 beach parking passes to Hilton Head Island property owners and residents. The parking pass is $30 per vehicle and is valid thru Dec. 31, 2020. The pass allows property owners and residents to park in designated spaces at Islanders Beach Park and Driessen Beach Park. Beach parking passes may be purchased 8 a.m. to 4:30 p.m. Mondays through Fridays at the Town of Hilton Head Island’s Facilities Management Division office. 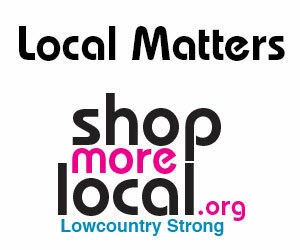 For more information, call 843-342-4580 or go to www.hiltonheadislandsc.gov. The name Spanish Wells conjures up images of galleons and wooden buckets — a romantic vision that seems far removed from the Hilton Head Island of today. But you wouldn’t be far off of the origin of the island community’s name — or the names of several other island landmarks. Of all the choices Hilton Head Island and Bluffton voters face in this month’s election, deciding whether to approve a 1 percent sales tax increase may have the most impact on their quality of life over the long term. The transportation sales tax referendum would fund a project designed to ease severe traffic congestion between the mainland and Hilton Head — but could cause uncertainty for property owners along U.S. 278 between Moss Creek Drive in Bluffton to Squire Pope Road on Hilton Head. Expanding U.S. 278 could encroach upon their land. The Rotary Club of Hilton Head Island recently held its annual Teacher Appreciation Program to honor 14 educators at Hilton Head Island schools. The Boys & Girls Club of Hilton Head Island has received a $10,000 grant from the Palmetto Electric Trust to help fund the club’s Intervention Reading Program. The award, part of a highly competitive grant process, is part out of $513,000 in grant money awarded. The trust funds are collected through the Palmetto Electric Operation Round Up program.